The German Genealogist runs into a 1980s client–Larry Flatau. Another endearing endorsement–pre-Internet! Note that the locations in yellow are NOT Prussia! And one area deep within Baden-Wuerttemberg WAS a piece of Prussia/Preussen! An interesting coincidence happened at the Mesa Family History Library the other day. I was sitting next to a gentleman who was very graciously helping me utilize a microfilm viewing machine. I hadn’t been to the library in some time, and the microfilm machines I had previously used had been replaced with a newer and more sophisticated model. Over the next couple of hours this gentleman showed me several time saving methods to conduct my research. Eventually we chatted about our areas of genealogical interest, and I was startled to learn that he too was conducting research in Germany, and more specifically in East Prussia. Imagine my surprise when I found out that he had been the researcher, Karl-Michael Sala, I had hired in 1988 to conduct research on my East Prussian family tree. Wow, talk about a small world. I had never met Karl in person, as he lived at that time in another state. All of our correspondence had been by mail, as there was no internet and no e-mail to speak of at the time. So, twenty four years later, I’m still actively pursuing that same family tree that Karl helped me initiate. Looking back at my records I realized that it was Karl that had identified my 3 times great paternal-grandfather, established the Kreis (County/Region) my paternal family came from, and even the towns and villages where various family members had resided. 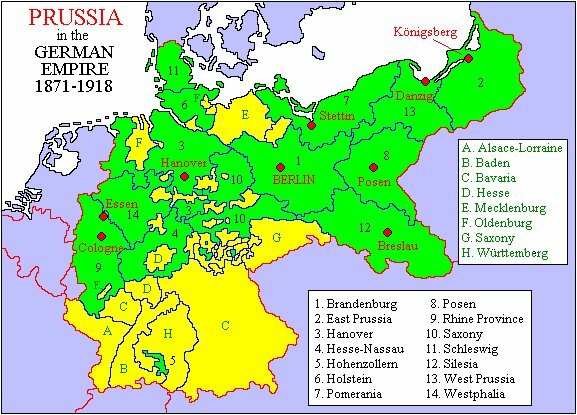 Karl provided detailed maps of those areas, even though East Prussia no longer exists. That was very exciting, actually identifying the homeland of my family. Utilizing census and naturalization records he then determined when my family arrived in the United States, despite some significant misspellings of the family name, and utilizing City Directories pinpointed their exact location in Detroit. I have subsequently utilized the information that Karl developed to greatly expand my family tree. More important, I mimicked many of the research techniques to which he introduced me, and have had a wonderful time pursuing my genealogy avocation.